Recently I sampled the beautiful water at the Blue Spring near Putaruru. It tasted like the mountain spring water of my childhood memories. And I learned that water is one of the major export food products of the Waikato region. The Blue Spring, and the Waihou Walkway which leads to it, have joined Hobbiton and the Waitomo Caves as hugely popular visitor attractions in the Waikato. People can no longer swim in the spring, but there’s a drinking fountain where you can sample the amazing water, which flows directly from headwaters in the Mamaku Ranges. Something like 70% of the bottled water in New Zealand supermarkets comes directly from the Blue Spring. A lot gets exported too. Some of the brands using Blue Spring water include: Waihou Spring, Aquasplash, Ecowai, Global Waters, Kiwi Blue, and Coca-Cola, for its Pump brand of bottled water. There are probably others that aren’t mentioned for commercial sensitivity reasons. I reckon it would be a more profitable business than dairying. No need to feed or care for animals or land. There’s a lot of debate currently about water issues in New Zealand as a whole. Everything from who manages and allocates water (currently it’s local councils), to issues of water quality degradation due to intensive agriculture and industry; and also concern around what’s added to town water, and whether it’s safe to drink. 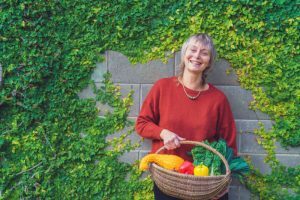 All of this goes way beyond the scope of this local food blog. But, it’s of interest to anyone who cares about food quality. For humans, water is just about the most essential nutrient. Our bodies are approximately 70% water. We need water to prepare food as well as for drinking. After drinking the amazing Blue Spring water, I did start to wonder what difference it would make to the quality of my food if I used this water, rather than the Hamilton city water. I have friends who regularly collect bottles of spring water from a roadside spring in the Kaimais, on State Highway 29 between Tauranga and the Waikato. Anyone can stop and fill bottles. It’s in a stopping bay beside the road, on the right just before the summit when you’re driving east. 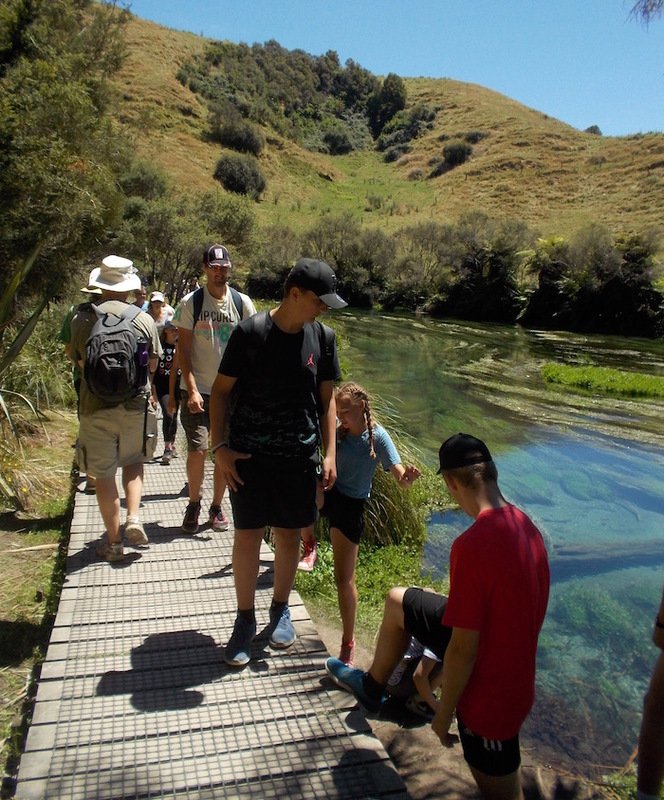 On a sunny Waitangi Day we walked along the Waihou Walkway to the Blue Spring, together with hundreds of other people, including many overseas visitors. It’s a pleasant walk that takes about an hour and a half each way. On the walkway I was surprised and delighted to find New Zealand-made Bio Loo composting toilets. 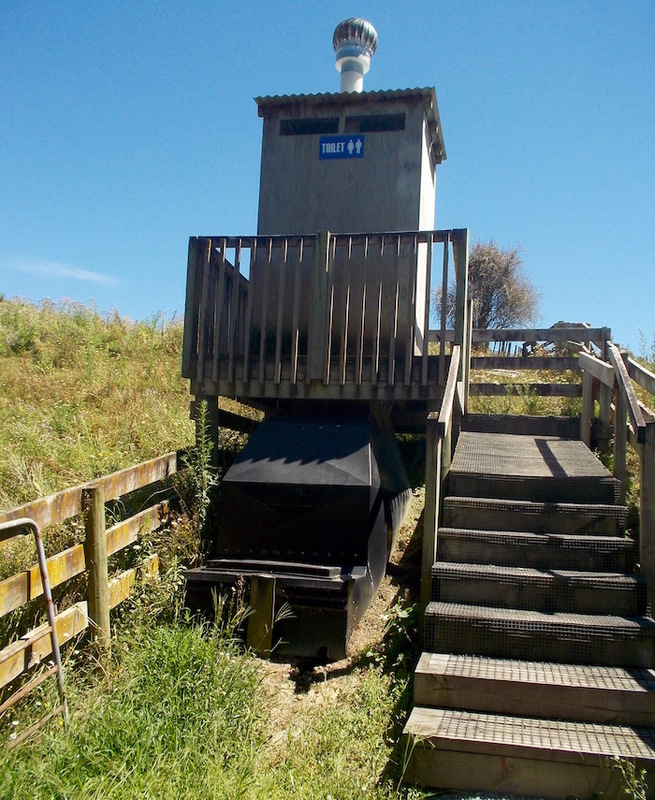 There’s a (rather gross) bog-standard longdrop at the Whites Rd carpark, but along the track are Bio Loos. My son Tom commented: “About the worst thing you could do with that beautiful water is flush it down the toilet.” The international visitors were obviously impressed – they were taking photos of the Bio Loos. Well done, South Waikato District Council! Above: This is what a Bio Loo looks like. Yeah, I know you don’t want to think about it, but it’s a vast improvement on a longdrop, for many reasons.